North Lagunaâs most desirable âTree Streetâ location! 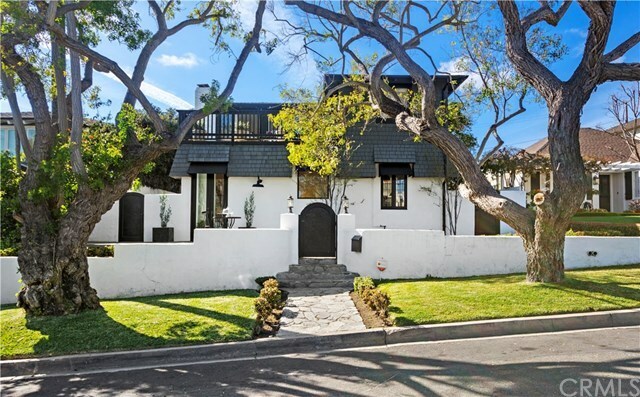 Known for its wide tree-lined streets, beautiful landscaping, and ample street-to-alley lots. This charming turnkey home has so much to offer. It is ideally located within easy distance to Lagunaâs greatest offerings, Heisler Park, Laguna Wildlife Preserve, and some of the most pristine beaches along the California coast. This home features open, flowing living spaces with vaulted beamed ceilings. Enjoy coastal living in this classic beach cottage style home. Recently remodeled, this property has a three bedroom two bath front house, with a one bedroom one bath back house. Large decks, patios and garden space further accentuates the property as a great entertainment home with beautiful French doors leading out to private outdoor spaces. A newly remodeled kitchen features a six burner Bertazzoni range, drawer microwave, granite countertops, sheik open shelving, and other high end appliances. The master bedroom opens to a large second story deck with ocean views spanning down past Main Beach. The back house has a living room with a spacious bedroom and remodeled bathroom opening to the peaceful well manicured side yard. This street to alley property also features a two car garage with finished floors and extra storage, with access through the alley. Come visit and find your reason to call this beautiful home, your Laguna Dream.